Sometimes their favorite blankie and chicken soup isn’t enough, and Kyle ER & Hospital is here with world class care for your littlest darlings when they’re most in need. Our physicians are board-certified and trained to treat emergency cases of all ages, children and infants included. Our on-site Imaging and Laboratory makes us prepared to keep your child’s visit quick and comfortable. Pediatric ER care is available 24/7, including holidays. See more about our services here. Kyle ER & Hospital has a special exam room for children, decorated with the energetic cast of the Toy Story movies. 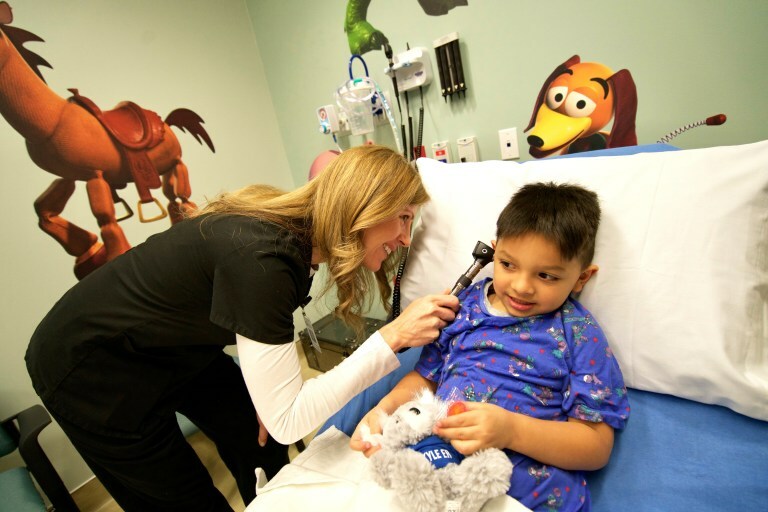 Our friendly environment is part of Kyle ER & Hospital’s commitment to concierge level care, which will help your children feel comfortable and happy while seeing our physicians.